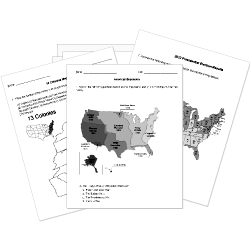 You can create printable tests and worksheets from these World History questions! Select one or more questions using the checkboxes above each question. Then click the add selected questions to a test button before moving to another page. In BCE 32, Octavius led Rome into a war against Marc Antony and which queen of Egypt? What year did the First World War begin? The Industrial Revolution began in which country? "D-Day" refers to what major WWII event? How many popes were there in Avignon? Which French King, who was later made a saint, led the Seventh and Eighth Crusades? Around 2340 B.C., created the world's first empire. Who wrote the "Social Contract"? French popes held power over the kings of France. Brutus and Cassius were defeated at which battle? English is in the family of languages. What year did the First World War end? During which Crusade did Crusader armies sack the Byzantine capital Constantinople? The Code of Hammurabi treated all citizens the same.